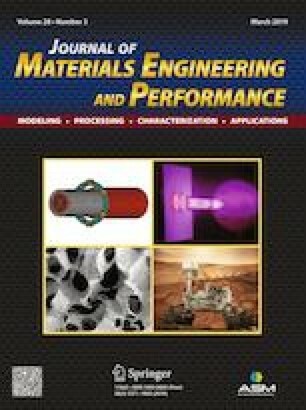 The effects of multiple laser peening impacts on mechanical properties and microstructure of 40CrNiMo steel were investigated. The surface residual stress and microhardness of the samples with different treatments were measured. The surface morphologies, tensile behavior and microstructure of the samples before and after laser peening were compared and analyzed. The experimental results showed that laser peening, especially multiple laser peening impacts has significant effects on the microhardness, residual stress and microstructure of 40CrNiMo steel. The surface roughness and the depth of the pit increased with increasing the impact times. After 3 laser peening impacts, the surface microhardness, compressive residual stress, the strength and ductility were significantly improved. Meanwhile, some microstructures, such as sub-grains, the precipitation of carbide and dislocations were also induced in the surface layer. Additionally, the microscopic strengthening mechanism of multiple laser peening impacts on the mechanical properties of 40CrNiMo steel was analyzed in detail. The authors acknowledge the financial support from the Zhejiang Provincial Key Laboratory of Laser Processing Robot/Key Laboratory of Laser Precision Processing and Detection (No. lzsy-09) and the Major Science and Technology Project of Wenzhou Science and Technology Bureau (ZG2017030).